Free Skate for Montessori Families! COME SKATE FOR FREE WITH YOUR MSN FAMILY! 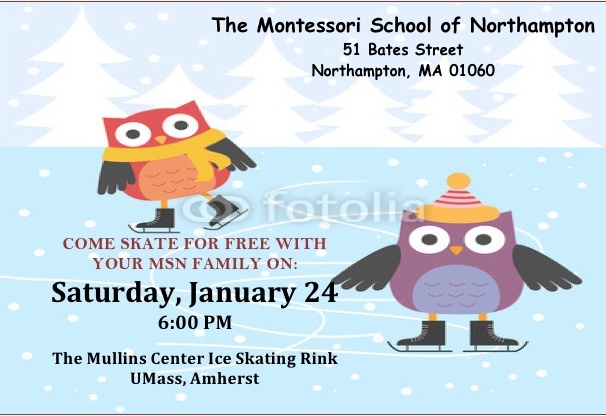 Join your Montessori families at the Mullins Center Rink on Saturday, January 24, at 6:00 pm. Bring your own skates or use their rental skates at no charge. Have an extra pair of skates? Bring them along and share them with a friend.